All the lunch stops were fantastic and meal options available were fantastic. The evening meals were also great. I was very surprised with the support van stops. I was expecting a hot drink and a water station, but the choice of snacks was amazing. There was everything we needed to refuel and feel ready for the next stage. They were also provided at decent intervals throughout. I couldn’t fault any of the tour organisation. During the tour we encountered a few other organised tours and they had nothing on yours. Their support was very limited, water replenishment and nothing else. I fell on my feet when I booked through you and I didn’t do much research before booking. After the tour I did take a look at the other companies and not much difference in price, so I don’t know how they can get away with it. Excellent, brilliant route, the Garmin route was spot on. The route is very picturesque, we were blessed by brilliant weather. The food on the tables as we pulled up at each stop was a welcoming sight. I particularly enjoyed the looks on the faces of the riders from ‘other’ tour operators, especially at the bottom of the big limb, they were extremely jealous. Again, the friendliness of the back-up team made that part of the ride very enjoyable. All the drivers and riders were excellent. Always on hand as required and great banter was had by all. I would not hesitate in recommending Peak Tours, I certainly hope I join another tour. Excellent accommodation, Stanhope in particular, I was in the old manor house, in a double room with 4 poster bed and en suite, can’t get much better than that. All the food in the accommodation and evening meals was terrific. The magic van excelled again, super choice of snacks and stops spaced just about right. As with all your tours I’ve done, the organisation was superb. I can’t really think how you can improve this tour, even the weather turned up. I have a photo of me eating ice cream on top of Hartside. The accommodation was first class at both hotels. You couldn’t wish for a better place to rest. The food provided was very, very good. The tour was very well organised. Loved the scenery and diversity. Marked very well and the trip notes were brilliant. The food was excellent, perfect for the energy needs we had. The bins en route and catering was faultless. Thank you! The guides were super helpful, nothing too much trouble. A happy and challenging tour. I enjoyed the route, the group and accommodation/food. It was a great trip. Thank you Peak Tours and our wonderful guides! You appear to have thought of everything! Great food and amazing portions. The tea stops were also excellent – thanks! I would thoroughly recommend this tour to others (and have). Wow! We were blown away by the route! Fantastic! We had a fantastic time – thank you! We came home with aching quads but a real sense of achievement. Brew van best ever – couldn’t have asked for more! Couldn’t rate the whole experience more highly. Sam and Tony were super fab and were the best guides ever. I was particularly impressed with how they made sure each one of us was fed and watered before they had anything – without making a fuss about anything. They were really friendly, approachable and couldn’t do enough for us. I wouldn’t hesitate on coming on another Peak Tours holiday. You’ve given both of us an amazing experience and it was lovely to transform from “working mums” to footloose and fancy-free cyclists for a few days! That B road back to Stanhope was the best ride EVER!! The route was excellent and kept to quiet roads. Its been the best cycling experience for me, ever. Very impressed with the tour overall, which has left some great memories. Will be recommending you to friends and colleagues. Will definitely book again. I shall live with the memories for a long time to come! Brilliant. 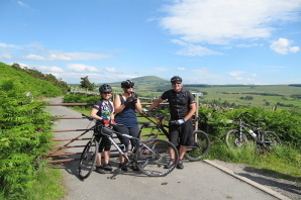 Just wanted to say a big thank you to Peak Tours for a very enjoyable C2C ride. The organisation was most impressive, the accommodation very comfortable with friendly hosts and hearty breakfasts. We will recommend Peak Tours to all our friends and hope to join you again in the future. Best wishes and many thanks. I can’t wait till next year and I will definitely be on a Peak Tours tour soon! Professional outfit and stunning routes! Look forward to Ireland! Had the time of my life and met some great people! 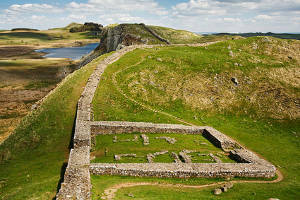 Absolutely brilliant, Peak Tours are excellent at organising and carrying out events. The guides were amazing, very helpful and supportive, a lovely bunch of people. 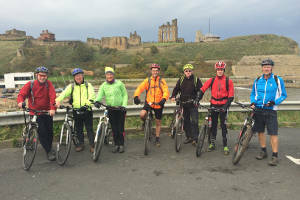 Peak Tours are very well organised and the C2C was a great experience. The Brew stops are an excellent feature of your tours. The choice of drinks, biscuits and energy bars and fruit were marvelous and essential. Tour organisation was excellent, could not fault it at all. All instructions were very clear and precise, we knew all the time what was happening and when which I like. The brew van was just great, all snacks provided were all excellent. They run a very slick procedure which worked brilliantly. Never once felt hungry. The special touch of the celebratory drink and receiving a certificate at the end of the tour was a very nice surprise and a fantastic end to a fantastic weekend. We both thoroughly enjoyed the whole of the tour, we will definitely be doing another one with Peak Tours. Food and snacks provided by Peak Tours during rest periods on route were excellent and helped me complete the tour without a doubt. Fantastic team, great support with outstanding knowledge. Very friendly and made you feel comfortable and relaxed, keep up the good work. Great group, size was just right, you could all go at your own speed and there was always someone to cycle with. We all got on very well, fab 3 days. I have no suggestions on how it could be improved – it was perfect! Thank you and keep up the fantastic work! Would definitely do another tour and recommend you to all our friends! The organisation was excellent, the route notes were very clear and the route itself was wonderful. 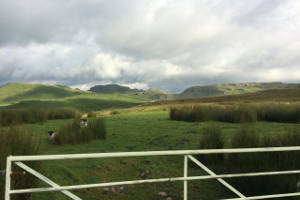 All the accommodation was excellent.The guides were always fun and informative and very good motivators. Overall, excellent. I was very impressed with the organisation of the tour. Thank you for a great experience. Overall, the tour was very well organised and run by professionals, thus ensuring a really good tour. The pace of the ride was just right for me. The ride leaders were very approachable and encouraging. I would not hesitate to book with Peak Tours again. There are a number of different cycle routes available from the west to the east coast of England. Many of these routes have been developed by the charity Sustrans and are well signposted which makes navigation easy. We provide cycling tours along three of these routes. 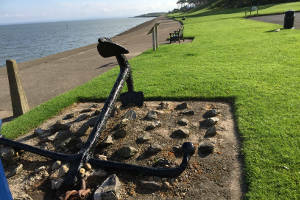 The traditional coast to coast from Workington to Tynemouth, The Way of the Roses tour from Morecambe to Bridlington and the Hadrian’s Cycleway from Silloth to Tynemouth. All tours are fully supported. We cover the traditional Coast to Coast in 3 days, the Way of the Roses over 3 or 4 days and the Hadrian’s Cycleway in 2 or 3 days. The five variations of the C2C can be viewed in more detail below, in order of easiest to hardest.